Something new for me, at the request of my friend Beau Monde, I have produced a card and am entering in the Fall Coffee Lovers Blog Hop. I thinking I really am liking this type of challenge and will be looking for more to do. It really makes me think out of the box, and as Sandy Allnock has reminded us this week, put our "artist" brain to work. So without further delay, this is my entry. 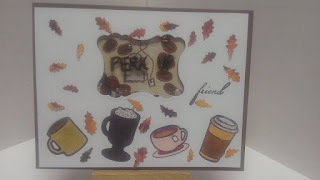 A2 sized card with an espresso colored base, Virginia Turtle Designs stamps and sentiment, with Fiskars brand Coffee Bean and Tea Bag stamps. Cups and beans are colored with Spectrum Noir Markers and then highlighted with Wink of Stella. Leaves are cut with Impression Obsession Rake/Leaves die set. Inside sentiment printed from my computer, die cut with Project Life dies. I hope you have enjoyed this entry, and thank you for stopping by my blog. thank you, that is what I was going for. Such a fun shaker card, LeeAnn! Hope you are enjoying the hop! great shaker, thanks for sharing! Love shaker cards, LeeAnn and your card is just lovely with the coffee beans stamped inside the shaker. What a great detail! Great fall creation with shaker, love it! Yay you and Yay for Beau Monde for inspiring you...we're so happy that you've joined us. Lovin' your fun shaker card! What a fun little shaker card! Love the sweet mugs you added on the outside! So cool! Shakers are my favorite right now... love yours! Cute shaker card. 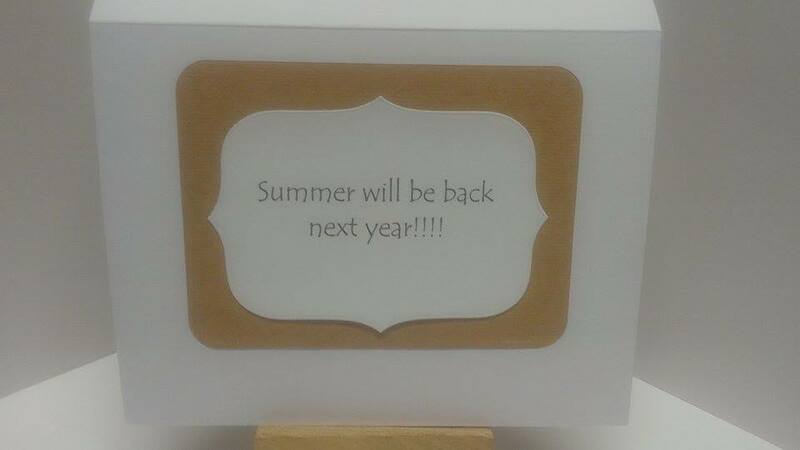 Love the inside of card too...we have summer all year round. It turned out real nice!